Sanhedrin Appoints High Priest Claims Temple Service Could Begin Soon | Have Ye Not Read? I’ve received a lot of questions about the article at this link claiming the sacrifices on the Temple Mount could resume very soon, now that the so-called “Sanhedrin” has selected a high priest. Another circulating news story tries to tie a supposed visit to Jerusalem by Pope Francis in with this story, as if there’s a conspiracy to complete the animal sacrifices at the same time the Pope holds mass in the city, uniting the two religions (Judaism and Christianity) in Jerusalem. 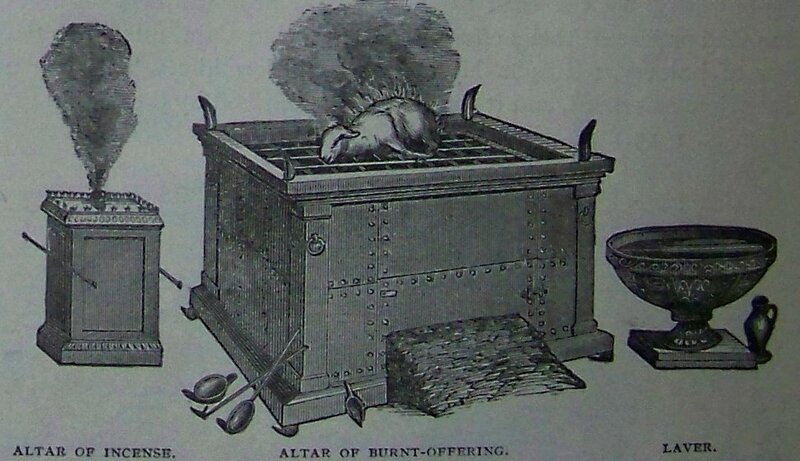 The bottom line is that any animal sacrifice is a slap in the face to God, and more importantly, a purposeful denigration of His Savior Who became the once and for all times sacrifice for our sins, replacing all other sacrifices, when He gave His life for us on that cross at Calvary (Hebrews 10:7-12). It was God’s will that animal sacrifices be done away with. They merely pointed toward Christ Jesus, whose shed blood would provide the payment for the sins of “whomsoever will” accept Him as the Father’s appointed Savior. So any animal sacrifice to God is sacrilegious and has been for the past 2,000 years. If a sacrifice is made, it’s made to Satan and not to God. I’ve been following and reporting on the Temple Institute activities for 15 years or so, ever since they re-formed the so-called Sanhedrin. But there’s been a lot of attention-getting sensationalism involved in the things they’ve done. And a lot of it appears to have been designed to try to influence Israeli politics. Of course, we should all watch, and keep our eyes and ears open. But let’s not allow ourselves to get carried away by “Jewish” play-acting. What’s weird to me is that the Temple Institute brags that their new “high priest” is a world renowned expert on the Biblical requirements for sacrificial service. Yet the completed sacrificial altar the Temple Institute pictures on their internet site is clearly made of brick, which of course, violates God’s command that purely natural stones from the earth are supposed to be used, rather than anything man-made (Exodus 20:24-26). So it’s pretty clear this so-called “new high priest” is not doing things Biblically, but instead, according to some tare tradition. At any rate, that doesn’t really matter. There’s lots of weird stuff going on right now — both here in the U.S., in Europe and in the Middle East — that we need to keep our eyes and ears open to, as watchmen of the Lord. Yes, I believe many of these things are signs that the time of the antichrist is growing nearer. But at this point, the “sacrifices on the Temple Mount” story above, combined with the “Pope in Jerusalem” story, appears to be nothing more than tare play-acting designed to try to force political hands in Israel into changing laws so that Jews can eventually worship on the Temple Mount where the Muslim Dome of the Rock Mosque is situated. This of course, would ignite massive and violent protest from the Muslim community. And probably war. So if you want something concrete to watch for, watch for the Israeli government to publicly change the laws that currently prohibit Jews from holding worship services and sacrifices on the Temple Mount. Such a change in laws would be a key sign the deadly wound is near, as that wound will no doubt take place at some point on that Temple Mount between the two opposing factions (i.e., Judaism and Islam). Of course, the Temple Institute spokespeople are cryptically claiming that between September 4th and the end of September something amazing is going to happen, and that as a result of this amazing happenstance the Temple Mount sacrifices could begin at “any time now” — even in time for the Jewish Yom Kippur (October 11-12, 2016). This kind of sensationalism seems to happen every September. For example, if you remember, last September everybody got all excited when a tare pretending to have converted to Christianity was publishing sensationalistic books and making dramatic television appearances on Christian TV shows, claiming that a major “Shemitah” event was about to occur that would usher in years of famine resulting in millions of deaths and great destruction. Of course, as I warned at that time in my Bible study titled Shemitah-Shemitah, it was fake; it all turned out to be a bunch of play-acting nonsense. So yes, keep your eyes and ears open to what’s happening in Jerusalem. As Pastor Arnold Murray of Shepherd’s Chapel always said, Jerusalem (and what takes place there) is the barometer of the end times. But…don’t forget that the tares are play-actors first and foremost, and they love the attention they can generate from their sensationalism. Above all things they love getting Christians all worked up over nothing. And the internet gives them the ability to do so at record speed. Knowing the modus operandi of the enemy allows us to more effectively teachagainst, and take a firm stand against, the “wiles of the devil” (Ephesians 6:11).